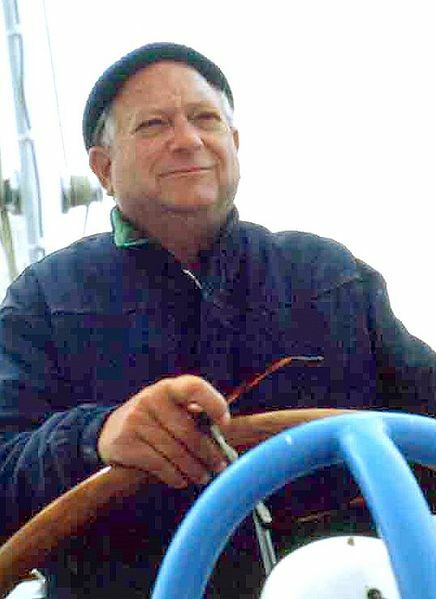 News came of the death of the American writer Jack Vance, a master of science fiction and fantasy. He passed away on May 26, 2013 at his home in Oakland. John Holbrook Vance was born on August 28, 1916 in San Francisco, California. He grew up in the ranch of his maternal grandparents and since he was a kid he loved to read. Not being able to afford to pay for college he did various jobs and only after a long time he enrolled at the University of California at Berkeley, where he studied mining engineering, physics, journalism and English. It was during those years that he started writing science fiction. During World War II his poor eyesight prevented him from joining military service but he managed to enlist in the Merchant Marine. During his years at sea he started writing one of his classics, the cycle of the Dying Earth. His first published story, however, was “The World-Thinker”, in the magazine “Thrilling Wonder Stories” in 1945. In the following years, Jack Vance published several other science fiction stories and the tales of the Dying Earth, set in a very distant future where science is indistinguishable from magic. These stories were initially on the borderline between science fiction and fantasy but then the tone became much more typical of fantasy. The stories were published in the anthology “The Dying Earth” in 1950. In subsequent years, Vance published some novels set in the same future: “The Eyes of the Overworld” in 1966, “Cugel’s Saga” in 1983 and “Rhialto the Marvellous” in 1984. Jack Vance also wrote mystery stories and in 1961 his thriller “The Man In The Cage” won the Edgar Allan Poe Award. However, generally he published science fiction and fantasy novels that were highly appreciated such as “To Live Forever” in 1956, the Hugo Award winner “The Dragon Masters” in 1962, “The Houses of Iszm” in 1964, “The Blue World” in 1966 and the Hugo and Nebula awards winner “The Last Castle” in 1966. Jack Vance has written many novels and short fiction and his name is linked not only to the cycle of Dying Earth but also to others, both science fiction and fantasy. The Demon Princes Series consists of: “The Star King” (1964), “The Killing Machine” (1964), “The Palace of Love” (1973) , “The Face” (1979) and “The Book of Dreams” (1981). The Tschai series consists of: “City of the Chasch” (1968), “Servants of the Wankh” (1969), “The Dirdir” (1969) and “The Pnume” (1970). The Durdane trilogy consists of: “The On behalf” (1971), “The Brave Free Men” (1972) and “The Asutra” (1973). The Alastor trilogy consists: “Trullion: Alastor 2262” (1973), “Marune: Alastor 933” (1975) and “Wyst: Alastor 1716” (1981). The Lyonesse trilogy consists of: the World Fantasy Award winner “Lyonesse” (1983), “The Green Pearl” (1986) and the World Fantasy Award winner “Madouc” (1990). The Cadwal Chronicles consist of: “Araminta Station” (1988), “Ecce and Old Earth” (1991) and “Throy” (1992). In 1997, Jack Vance was made a Grand Master by the Science Fiction and Fantasy Writers of America. He was an extraordinary writer who gave us memorable worlds and societies he could describe with extraordinary imagination and a wonderful style that evoked them in the readers’ minds with a few words chosen in a masterly manner. His style was unique and had made him one of the greatest masters of science fiction and fantasy.